The excitement doesn’t stop there as there are bonus features to boast about too. In addition to all of this, the game is easy to play letting you immerse in the both interactive and historic theme. The overall aesthetics of this game fit the bill perfectly and its graphics are set up perfectly inline to give a wild west feel. The music is also similar to that of the local saloon down from the ranch back home (that of the time of course). If you love promo's don't forget to check out top-rated slot bonuses. Netent are a Swedish developer that are innovative in nature. They adopt HTML 5 and their exhilarating online slot games are available to over 300 fully licensed portals. The pay lines are set up for the player making this mission an easy one. 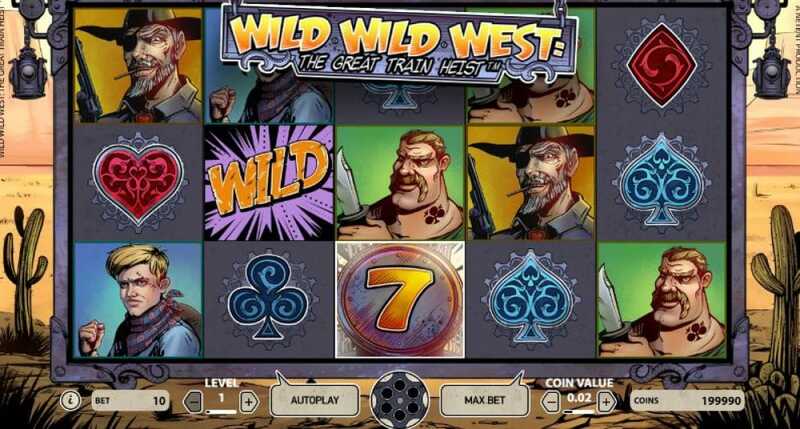 The auto spin button makes it easier again on Wild Wild West: the Great Train Heist. As far as the bets go, there is a minimum bet of 0.10 credits and max bet of 100. There are some classic features aboard Wild Wild West: the Great Train Heist. The first one to look out for are the three golden train safes. These legendary finds are full of treasure and result in a click to win item with a value of between x5 and x50 the initial stake. Scatters: Look out for the number 7 train where 3/4/5 scatters are equal to 10/20/30 free spins. What’s better again is that they come with an uncapped retrigger – so have your witts about you! 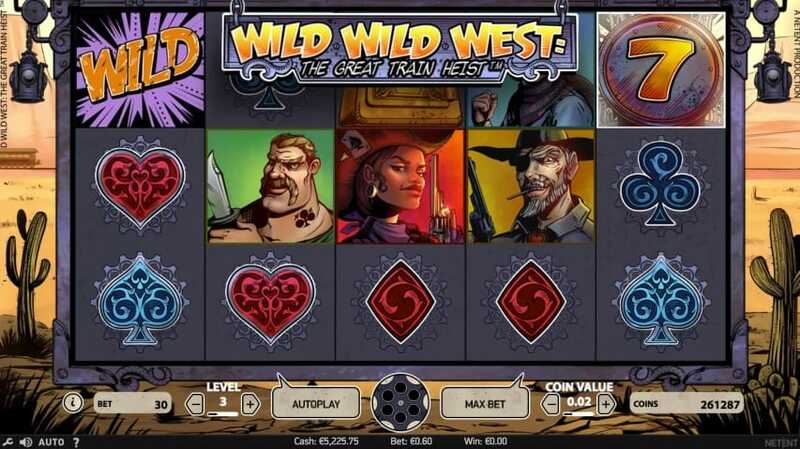 Wild Wild West: The Great Train Heist online slot game is a celebration of a much-acclaimed theme. The developers have done a great job at taking the players on a mission to rob the rich of their gold. The western feel is celebrated throughout the development and even the spin button is created to look like a revolver.